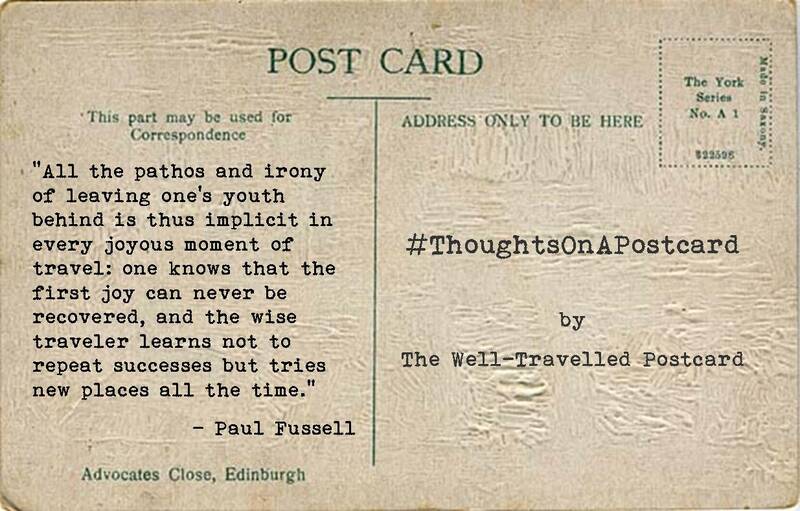 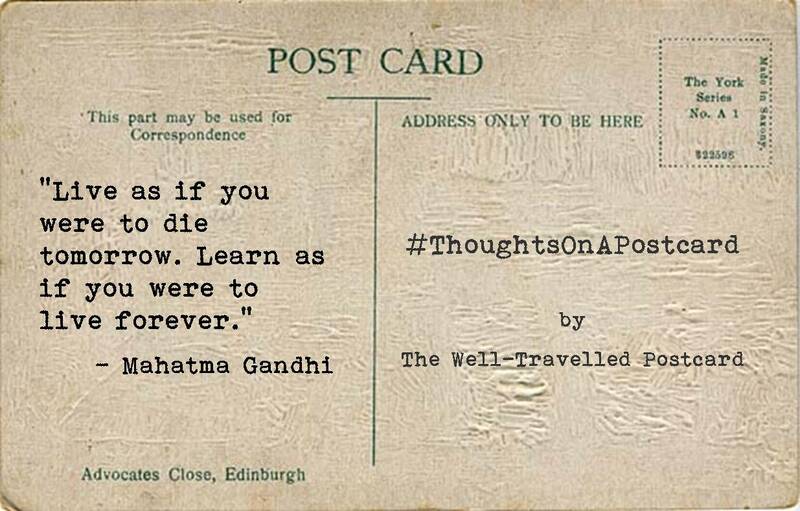 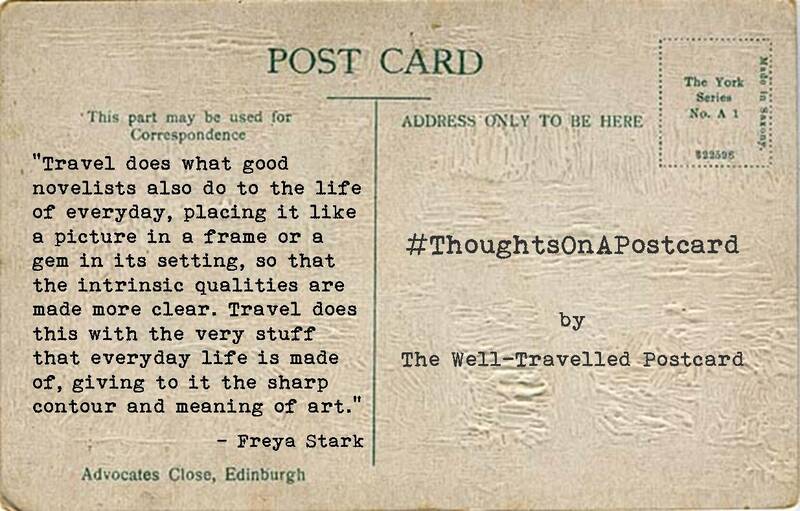 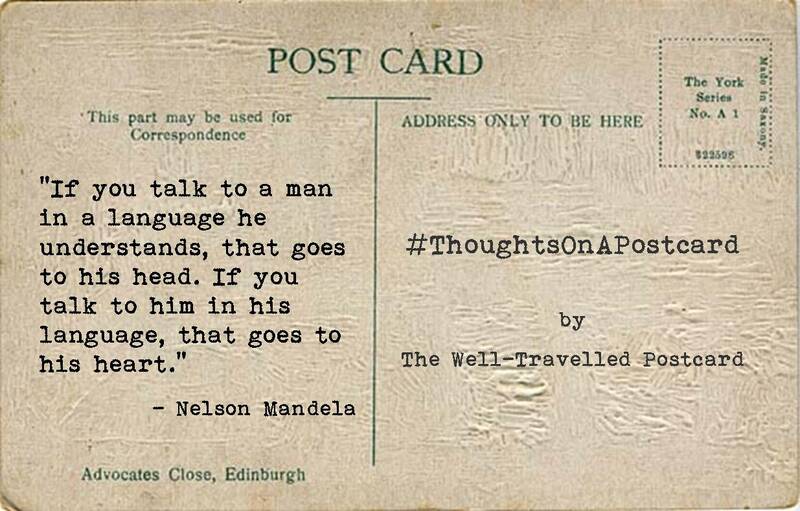 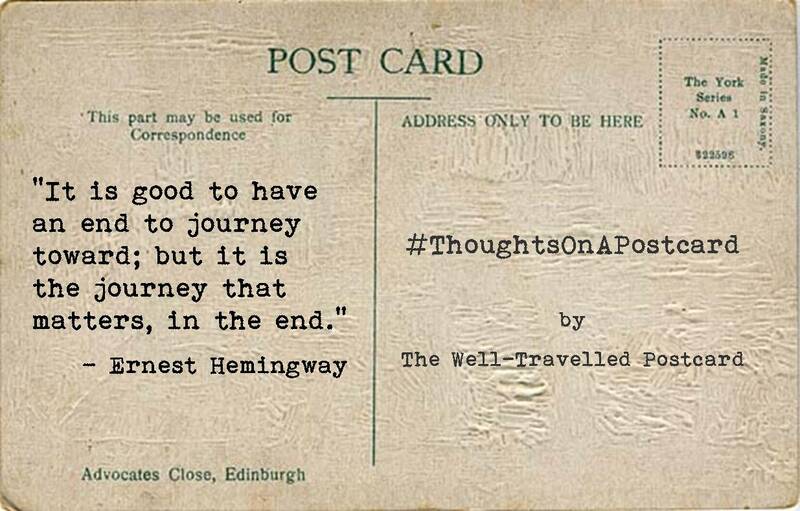 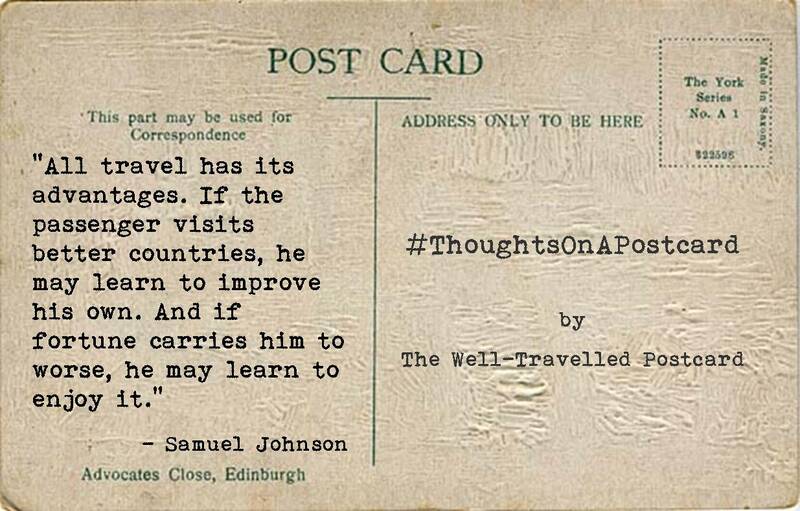 If you’ve ‘liked’ The Well-Travelled Postcard’s Facebook Page, then you may have seen my #ThoughtsOnAPostcard series that I’ve been posting once a week, on a Thursday, on Facebook. 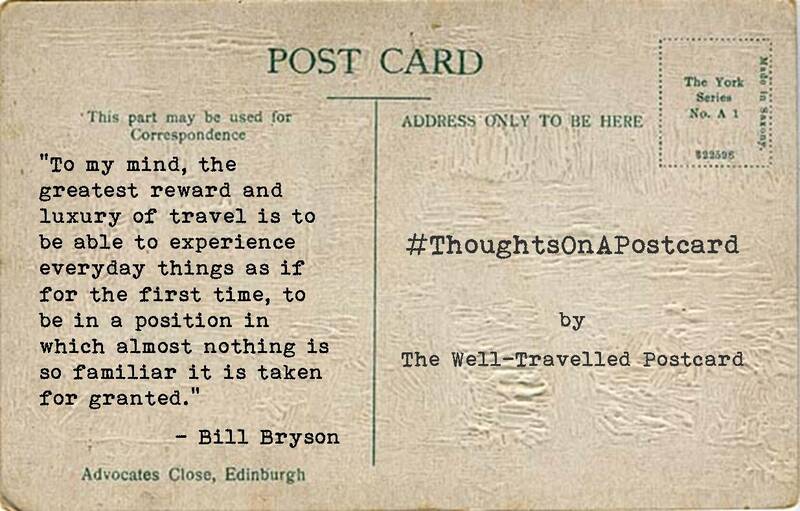 On the back of a postcard I’ve been posting some of my favourite travel quotes, some of the quotes that inspire me the most. 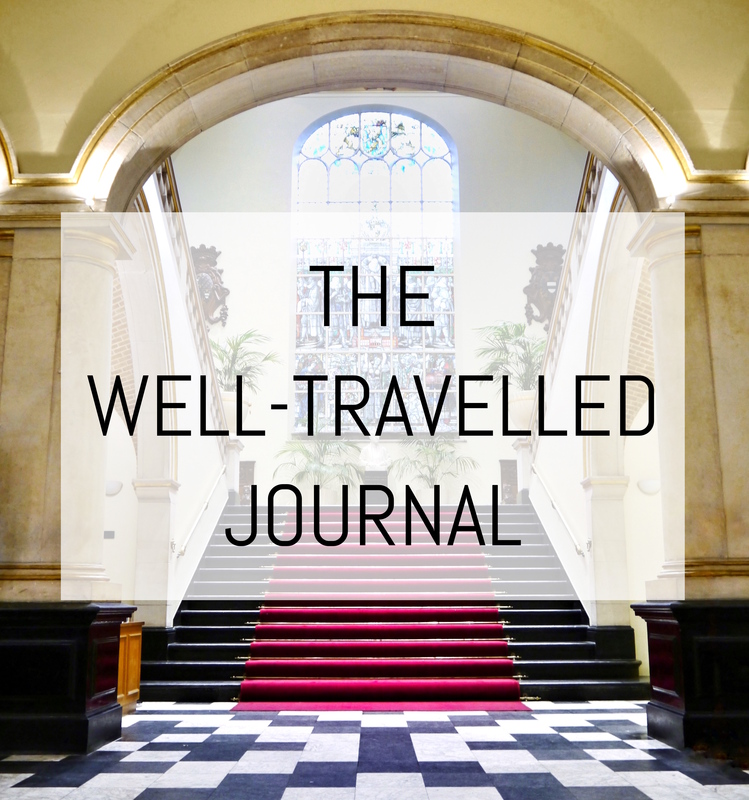 I did a round-up of the first 10, and then of the next 10, and here’s round-up no.3! 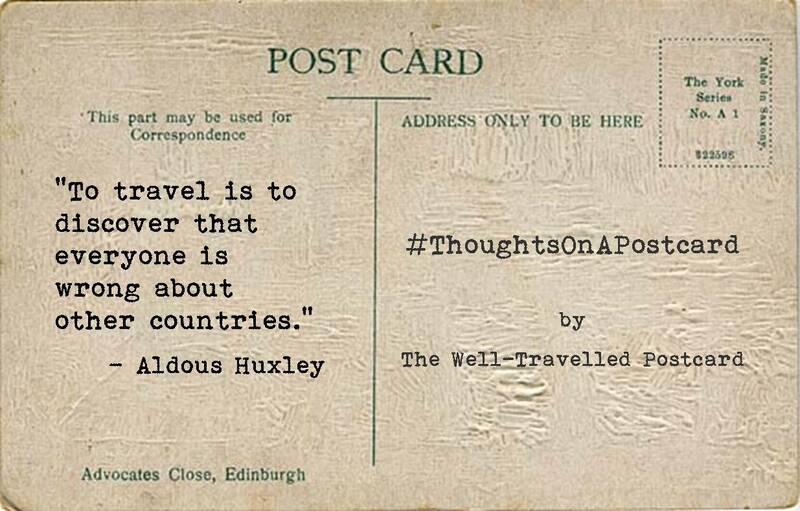 Which is your favourite travel quote? 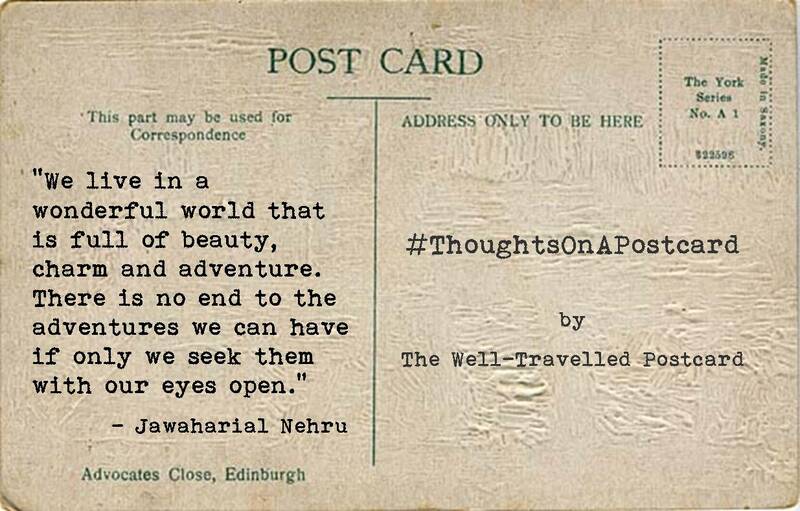 You ask us to pick only one? 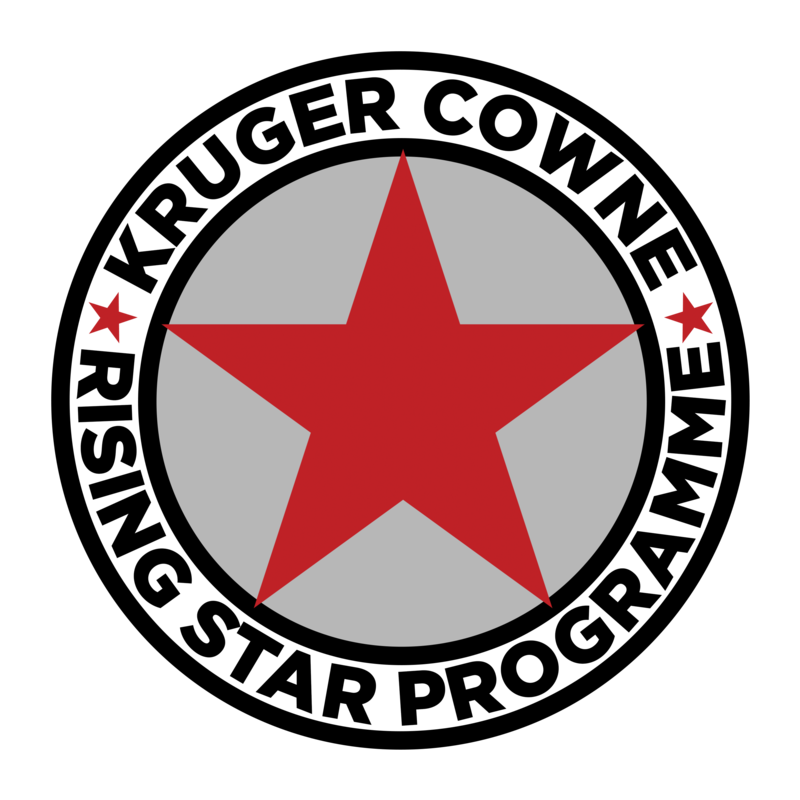 Impossible, greay collection here!